Dessa – Send me a private email (jenlane3@yahoo.com) with your mailing address and I’ll mail it out to you this week. I haven’t read Edible woman. Will have to do so soon. I think you both made strong cases for the book. Scared everyone off because we normally get over 10entries! So either one of you would have been a deserving winner! The Edible Woman is incredible. 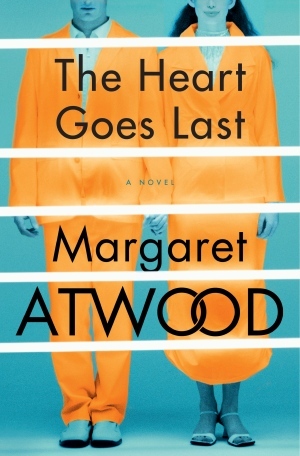 It’s the first book by Atwood that spoke to me directly in that it echoed a lot of what I felt around the time I read it – 17/18, getting to grips with adulthood and the hidden unfairness of life for women. It’s also very funny and surreal. It’s a slim book, less than 300 pages, and definitely worth reading. And truly, if I’d read Dessa’s comment before launching into mine, there would only have been one entry! It’s quite something to be so inspired by a writer that you set your professional course by the star of their work. Edible Woman is absolutely one of my favourite novels too! And I’m not sure what kind of work I’ll be able to find after completing my degree – I just feel lucky to be able to study inspiring authors in a genre that I love. Ahhhh! Thank you so much! I’m so excited to read it!